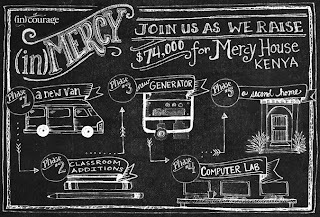 It has been an honor and a privilege to blog for Mercy House and to help raise money for them. I met Kristin and heard her speak at Allume and it just solidified the cause in my heart. I know that I mentioned that by the time we got to Allume that the first four phases of the project had been FULLY FUNDED! And with in the first 10 mins of a call for help at Allume $4000 had been raised. So here we are at the week of Thanksgiving when most Americans will start their Christmas shopping. So how about this year you give a gift that will keep giving. Donate to Mercy House and then give a card showing how much you gave in honor of your family member. 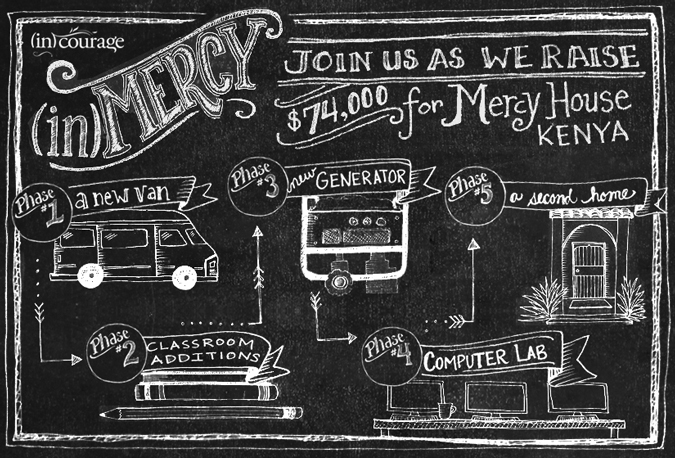 Or downsize your budget and give to Mercy House as a family for Christmas. Dayspring even has a line of items that you can buy and give as a gift that will go towards this project. Click here to check out the gorgeous tee shirt (that I have- it is the most comfortable shirt! But buy a size up because it will shrink when washed. ), an amazing poster (it is even more amazing in person), or some postcards for the note writer in your life. Because y'all- it has been amazing to see the project happen at speeds we never imagined when starting. Let's see if we can get all 5 phases fully funded by the end of this campaign!!!!! How Can You Help In The Philippines? What if You Couldn't Read Your Bible?